The Industrial Revolution was a major turning point in history which was marked by a shift in the world from an agrarian and handicraft economy to one dominated by industry and machine manufacturing. It brought about a greater volume and variety of factory-produced goods and raised the standard of living for many people, particularly for the middle and upper classes. However, life for the poor and working classes continued to be filled with challenges. Wages for those who laboured in factories were low and working conditions could be dangerous and monotonous. Children were part of the labour force. They often worked long hours and were used for such highly hazardous tasks as cleaning the machinery. Industrialization also meant that some craftspeople were replaced by machines. Additionally, urban, industrialized areas were unable to keep pace with the flow of arriving workers from the countryside, resulting in inadequate, overcrowded housing and polluted, unsanitary living conditions in which disease was rampant. The conditions for the working-class gradually improved as governments instituted various labour reforms and workers gained the right to form trade unions. Know about the positive and negative impact of the Industrial Revolution through the 10 major effects of this world changing event. The factory system was a child of the Industrial Revolution and developed and advanced during its course in the 18th and 19th century. It replaced the cottage industry which was more autonomous with individual workers using hand tools and simple machinery to fabricate goods in their own homes. The invention of the water powered frame by Richard Arkwright in the 1760s led to the formation of the first factories along the rivers in Britain. In 1771, Arkwright built his first factory at Cromford. He built many small cottages close to it to employ labour from far and across, preferring weavers with large families so that women and, especially their children, could work in the factory. By 1779, he had over 800 people with timed jobs, shifts and factory rules. The factory system generated a fortune for its few owners and his template caught like wild fire. 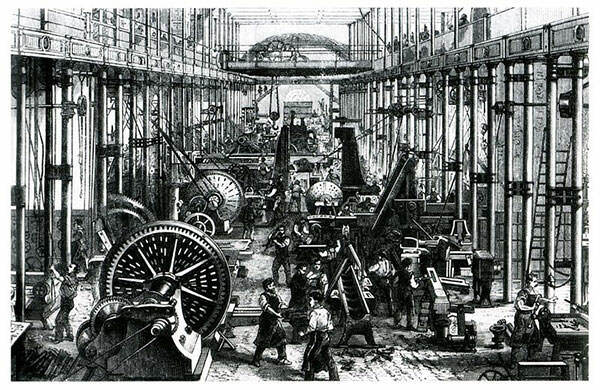 Improvements in the steam engine and power loom further incentivised cheaper energy and better machines; and this positive loop fed the Industrial Revolution. Capitalism refers to an economic system based upon private ownership of the means of production and their operation for profit. With political control over the colonies and rise in technological innovations, Capitalism was on a rise in Britain. Factory owners and others who controlled the means of production rapidly became very rich and had more money to invest in technology and more industry. In those times only the wealthy could vote in Britain with about 3 percent allowed to vote. Industrial capitalists gradually replaced agrarian land owners as leaders of the nation’s economy and power structure. With economic and political power they were in many ways the new rulers of the nation. Great Britain, in which the Industrial Revolution originated, was followed by other nations including Belgium, France, Germany and the United States. Soon the capitalists became the leaders in numerous countries across the world. The rise of cities was one of the defining and most lasting features of the Industrial Revolution. In pre-industrial societies almost 80% of people lived in rural areas dependent on farming and animal husbandry. The growth in population due to the agriculture revolution and the rise in industry had reduced the opportunities in the rural areas causing large migrations to the industrialized cities. The population of Britain almost doubled in the 18th century. By the end of the century 1 in 10 Britons lived in London which had a population of 1 million. In 1771, Manchester had a population of only 22,000. Over the next fifty years, its population exploded and reached 180,000. By 1850, more people were living in cities than in villages. 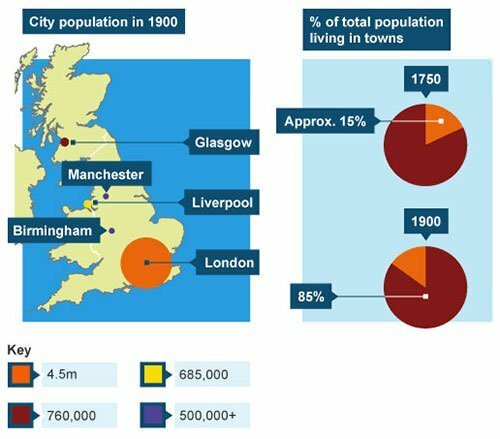 The number of cities with populations of more than 20,000 in England and Wales rose from 12 in 1800 to nearly 200 at the close of the century. This trend was seen all around as other parts of the world industrialised. For many skilled workers, the quality of life decreased a great deal in the first 60 years of the Industrial Revolution. Skilled weavers, for example, lived well in pre-industrial society as a kind of middle class. They tended their own gardens, worked on textiles in their homes or small shops, and raised farm animals. They were their own bosses. The Industrial Revolution was the shift of primarily agrarian societies to industrialized societies. The contrast was stark especially for the first few generations of factory workers who knew of life in the country as compared to life in the industrial cities. With almost no laws for the new age and power centred with the wealthy; the new working class in the factories suffered. Their neighbourhoods were bleak, crowded, dirty and polluted. The condition of hand skilled workers deteriorated and there was little or no scope to supplement their income with gardening or communal harvesting. During the first 60 years there was little scope for recreation. Many slums were formed, there was extensive child labour and many people were lost to disease and hazardous working conditions. In 1849, 10,000 people died of cholera in three months in London alone. Tuberculosis claimed 60,000 to 70,000 lives in each decade of the 19th century. In the first 60 years, the situation in general was bleak for many as may be seen even today in developing countries. 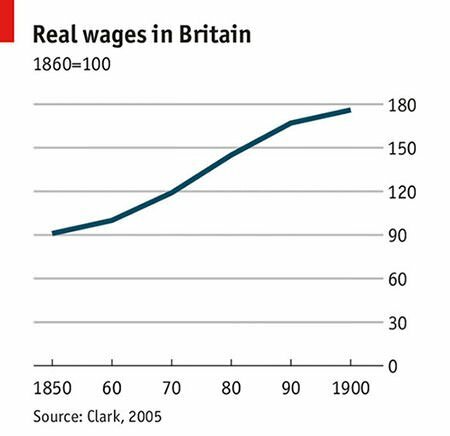 Historians disagree about the increase in wages of the working class in the first phase of the Industrial Revolution but there is general agreement that, adjusted for inflation, the wages stayed steady from 1790 to 1840. A rise of about 50 percent is observed between 1830 and 1875 in Britain. There was a very gradual rise of the middle class in the cities, mostly towards the end of the 19th century. The society had always been divided in two classes: the aristocrats born into their lives of wealth; and low-income commoners born in the working classes. The new urban industrial towns slowly created a plethora of new jobs such as big shopkeepers, bank clerks, insurance agents, merchants, accountants, managers, doctors, lawyers and teachers. Purchasing power increased and total national income multiplied 10 times in Britain in 100 years by the end of the 19th century. As the wealth shifted in the hands of the businessmen, there was more opportunity for enterprising, shrewd and brilliant ideas. There were also many rags to riches stories which inspired people to work harder. The rise in materialism and consumerism was one of the primary fallouts of the Industrial Revolution. Money, be it gold, paper or plastic is a mode of exchange and it derives its value from the goods and services someone is willing to offer for it. With the rise of Industry more goods were being produced leading to the development of the nation. At the same time, competitive hand skilled industries were slowly wiped out due to political and economic reasons. As production kept on increasing over decades and centuries, it required a proportional increase in demand. Feeding on the basic human desire to have more, a cycle of more consumption and more production was fired up which led to rise of materialism and consumerism. Industrial Revolution itself was primarily driven by the rise in technology which forever changed the face of the world leading us into the modern era. The external combustion steam engine powered railways, factories and inspired the internal combustion engine and the automotive industry. Energy demands led to electricity and electric based appliances. 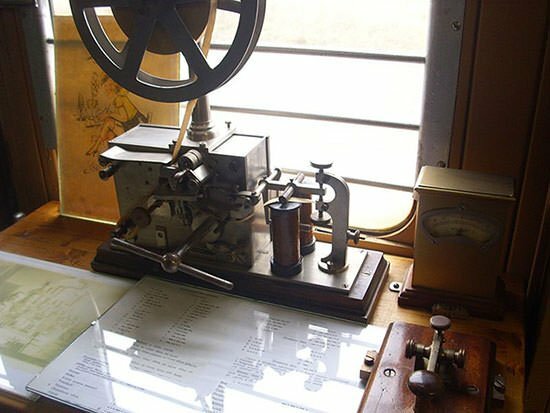 Telegraph led to the telephone to finally the internet and mobile technology. There are numerous examples to suggest the giant strides humanity took in the field of technology during and as a consequence of the Industrial Revolution. The government majorly favoured the wealthy in the early part of the Industrial Revolution. 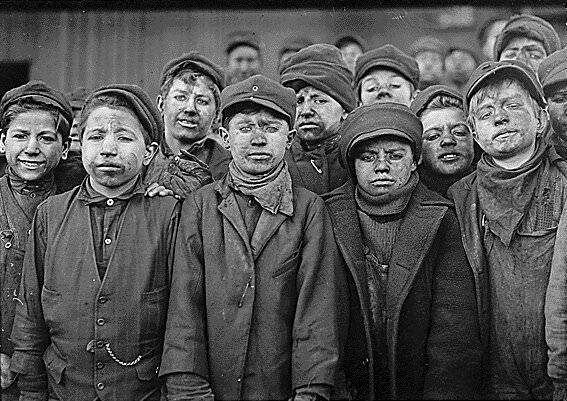 Even children were not spared and in the early 1860s, an estimated one-fifth of the workers in Britain’s textile industry were younger than 15. With a large population that felt exploited under a few wealthy capitalists, social tensions gradually increased. The condition of the working class became such a cause of concern that it led to the rise of socialism. Socialism is a theory which advocates that all people are equal and should have shared ownership of the country’s wealth. The most influential socialist thinker was undoubtedly an economist and philosopher named Karl Marx (1818-1883). 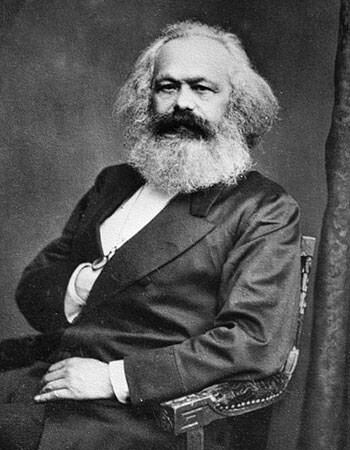 Though German in his origins, Marx spent most of his time in England understanding and critiquing the established capitalist system of those times. His ideas challenged the very foundations of the capitalist world, inspiring many uprisings against the model. Marxism and Communism as economic models are however widely rejected in the world today due to their lack of success wherever implemented. India and China had been the dominant economies of the world for centuries. 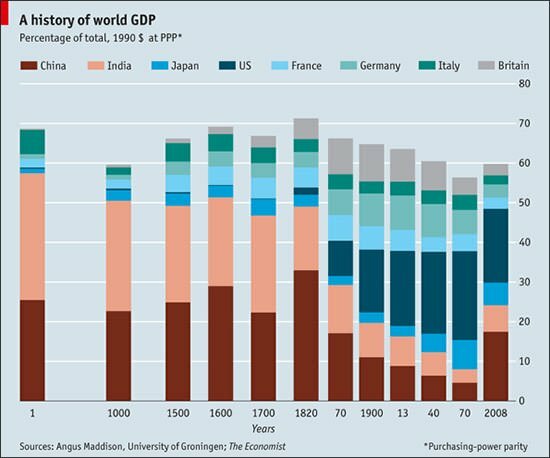 In the beginning of the 18th century they accounted for close to 50 percent of the world GDP. By the 18th century the British, Dutch, Portuguese and French were involved in sea trade with India for over a century and were now aware and involved to some extent in the politics of the region. With victory in the battles of Plassey and Buxar in mid-18th century the British gained considerable power in India outplaying its rivals. 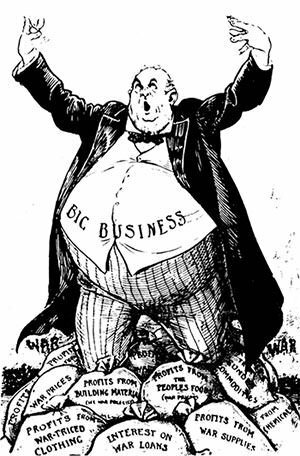 The drain of wealth from India gained momentum with these victories through laws, taxes and de-industrialization among many other things. 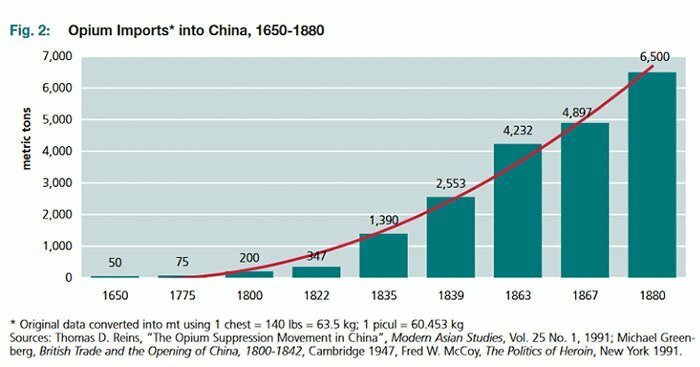 In the 17th and 18th centuries demand for Chinese goods (particularly silk, porcelain, and tea) in Europe created a trade imbalance between Qing Imperial China and Great Britain. Opium had been a problem for China and it had already been illegal to smoke and sell opium in China since 1729. The British with control on India, auctioned opium in Calcutta to licensed merchants, who shipped the opium to British-owned warehouses in the free trade area in Canton (Guangzhou), China. From there, the opium was smuggled by Chinese traders to the rest of the country, often with the help of corrupt customs officers outside the British zone. The influx of drugs drained the Chinese economy and impaired its population. This led to the Opium wars in 1839 – 1842 and 1856 – 1860 which Qing China lost to Britain. These victories allowed Britain to force opium into the Chinese markets in return for Chinese goods. Thus opium trade was made more open leading to further decline of the nation. Pollution and environmental damage were the obvious consequences of the industrialised world and the consumerism that followed it. 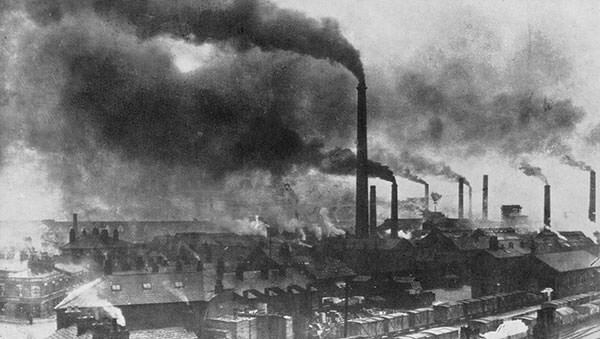 The rise of the machines required vast amounts of energy to fuel them, and fossil fuels like coal and petroleum were burned to energise the industry resulting in smog and air pollution. Chemicals were necessary for various processes leading to the fast rise in the development of industrial parks based on the chemical manufacturing of such items as dyes, plastics and pharmaceuticals. Cities were densely populated and forests and farmlands were cleared to make room for railroads and other infrastructure. Waste was dumped in rivers and cities were highly polluted. The Great Stink in London in August 1858 was a noted event during which hot weather exacerbated the smell of untreated human waste and industrial effluent that was present on the banks of River Thames. The continued advancement of technology allowed large corporations to dictate the industrial landscape, and to have a far-reaching adverse effect on the environment. The Poor Law of 1834 created workhouses for the destitute. Poorhouses were designed to be deliberately harsh places to discourage people from staying on “relief“ (government food aid). Families, including husbands and wives, were separated upon entering the grounds. They were confined each day as inmates in a prison and worked every day. One assistant commissioner of the workhouses commented, “Our intention is to make the workhouses as much like prisons as possible.“ Another said, “Our object is to establish a discipline so severe and repulsive as to make them a terror to the poor and prevent them from entering“. Unfortunately we don’t remember which articles, books etc. were used while writing the article. Maybe if you try finding these points on the internet you will find the sources. Sorry to disappoint you.